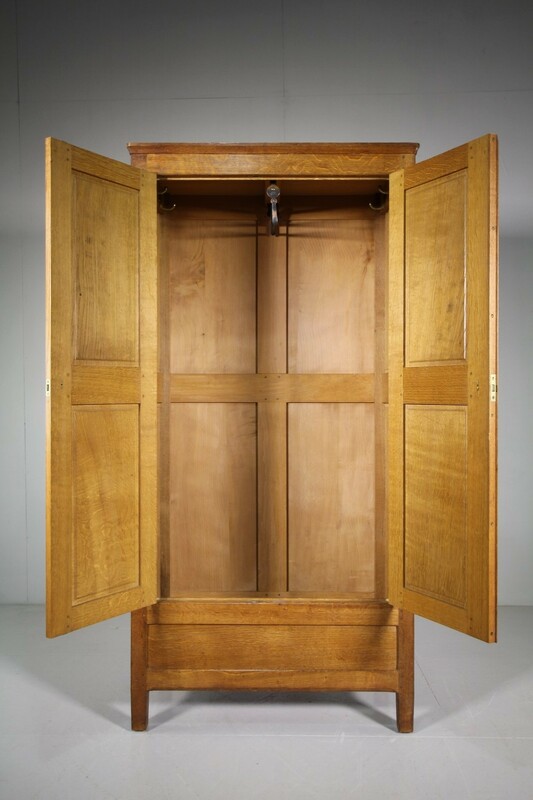 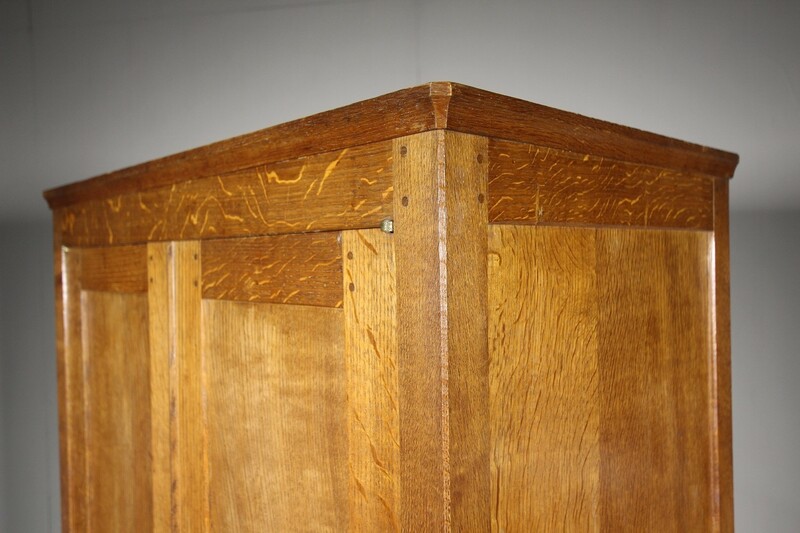 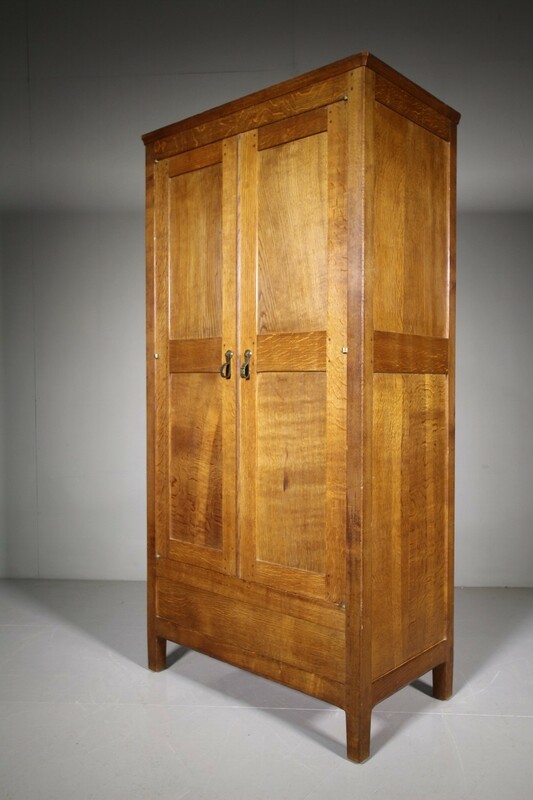 This is a beautifully made, English solid oak wardrobe by Gordon Russell, made on the 30-8-1928, this Gordon Russell wardrobe has the original paper label on theback with all the manufacturing information. 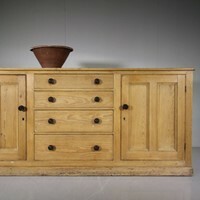 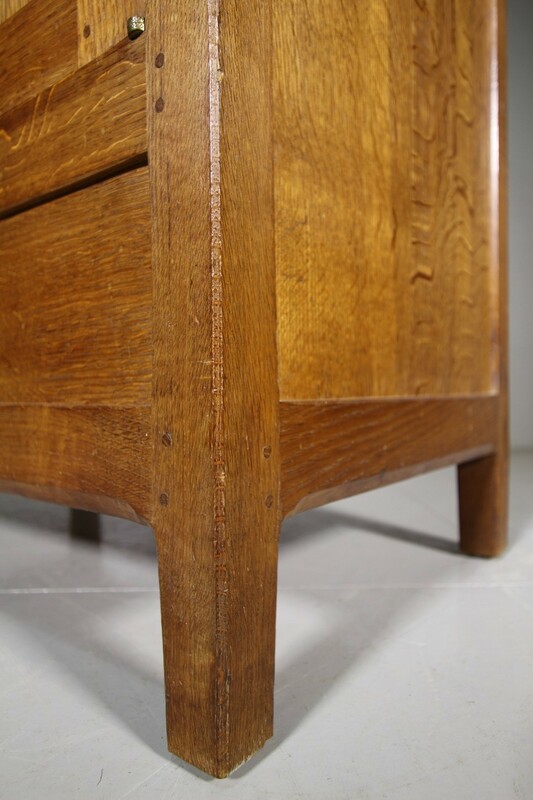 Very, very high quality, a really stunning piece with lovely extra attention to detail. 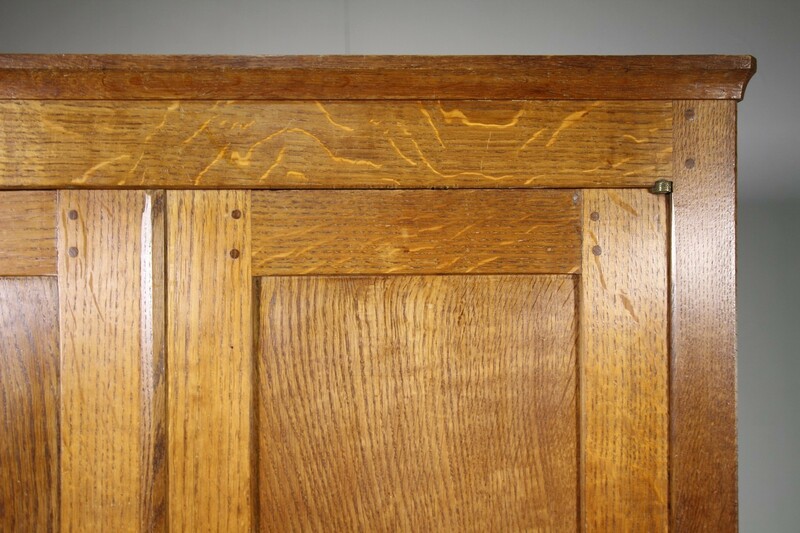 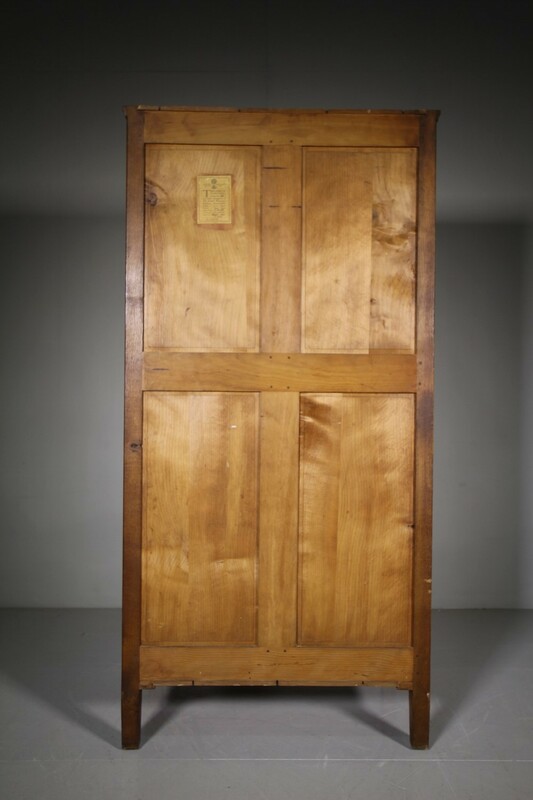 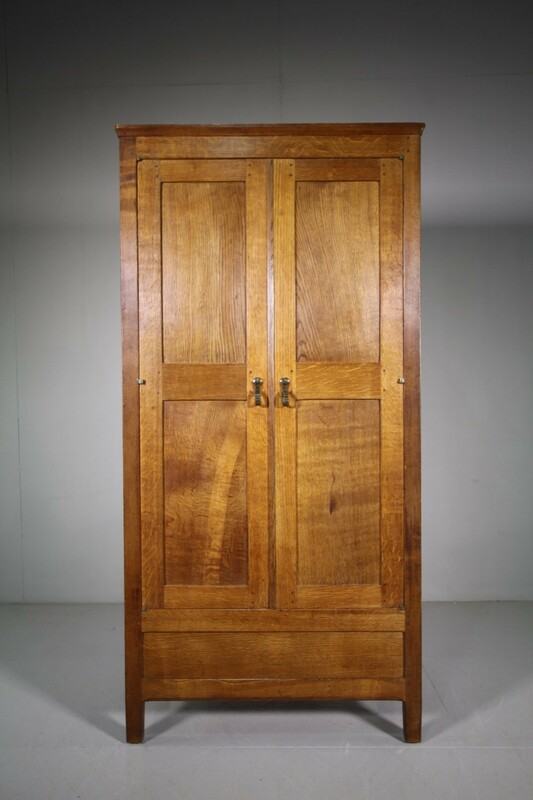 In superb condition and in the original finish, this oak wardrobe has cedar wood back boards and is complete with the period brass handles and interesting brass hinges. 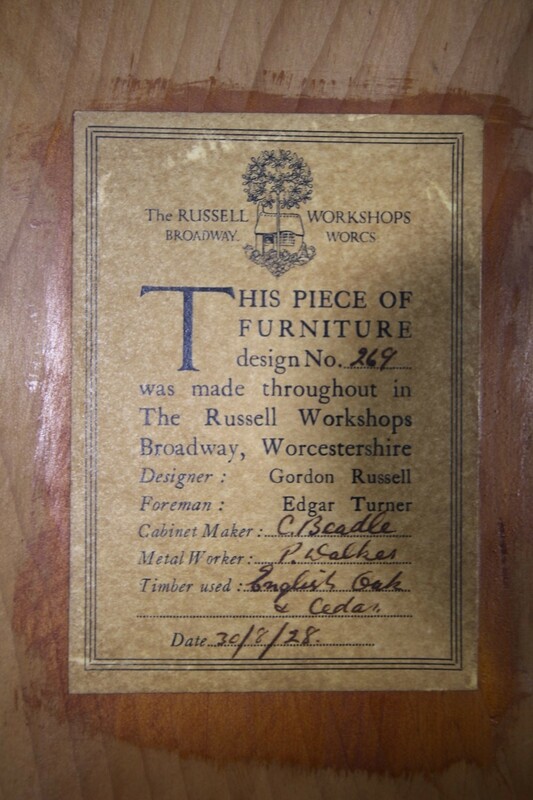 We also have the matching bed and table available.